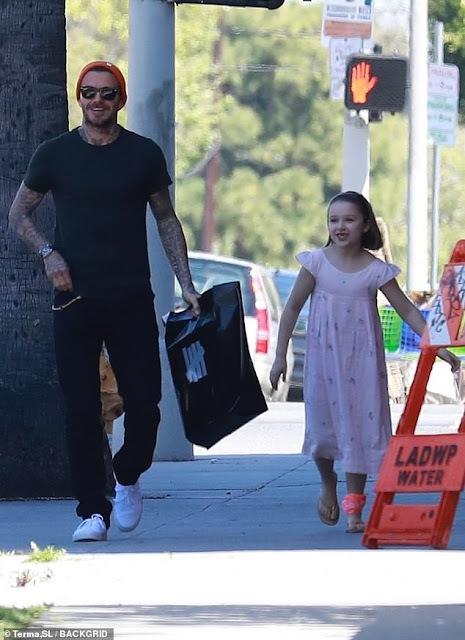 She recently presented her mum Victoria Beckham with a sweet handmade book for Mother's Day, thanking her for all her hard work. 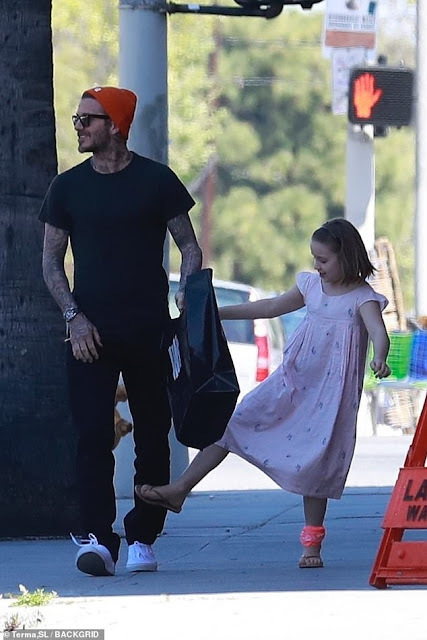 But Harper Beckham was spending some quality time with her dad David on Monday, enjoying a stroll around sunny Los Angeles together. 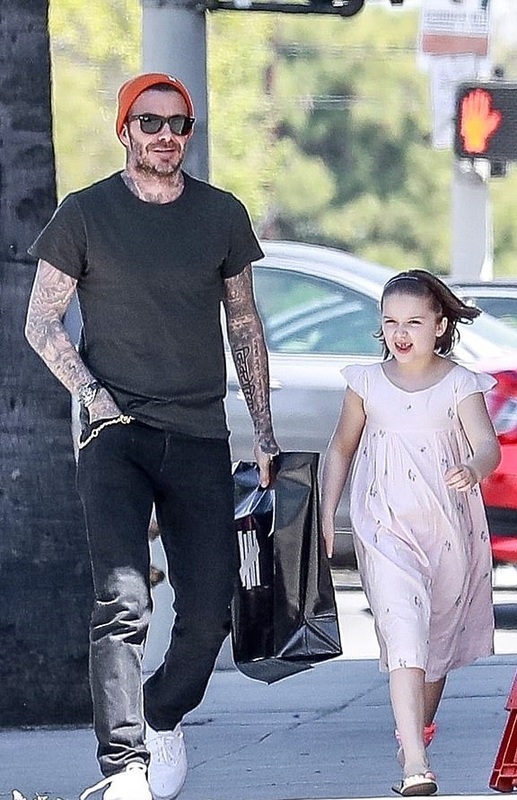 The seven-year-old youngster looked the picture of happiness, flashing a big grin as she headed out with her doting father, 43. 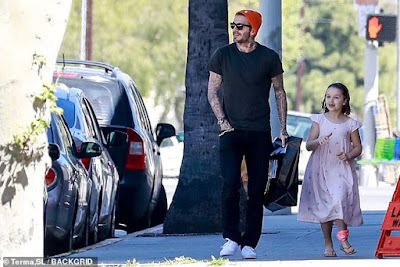 Harper looked adorable in a pastel pink sundress with a subtle pattern, her bob pushed back with a hairband. 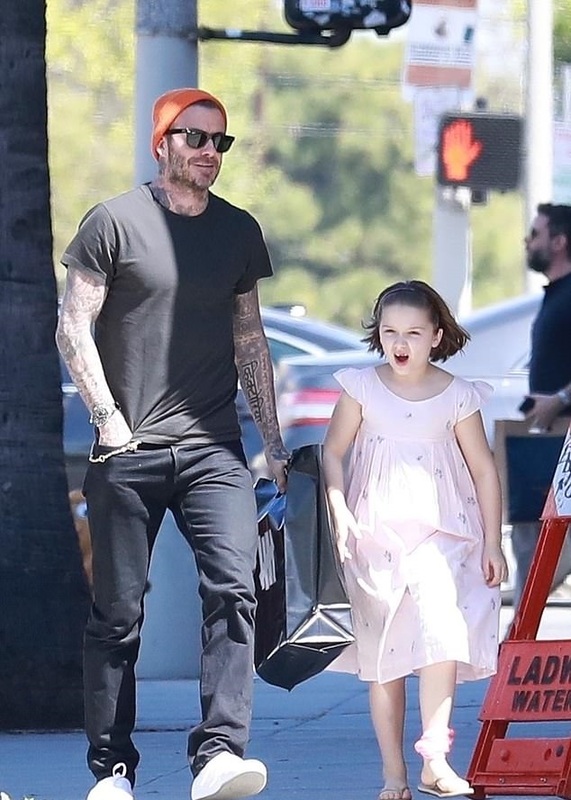 David was casually clad in an all-black ensemble, showing off his tattooed arms in a plain T-shirt and topping off his look with a red beanie hat.